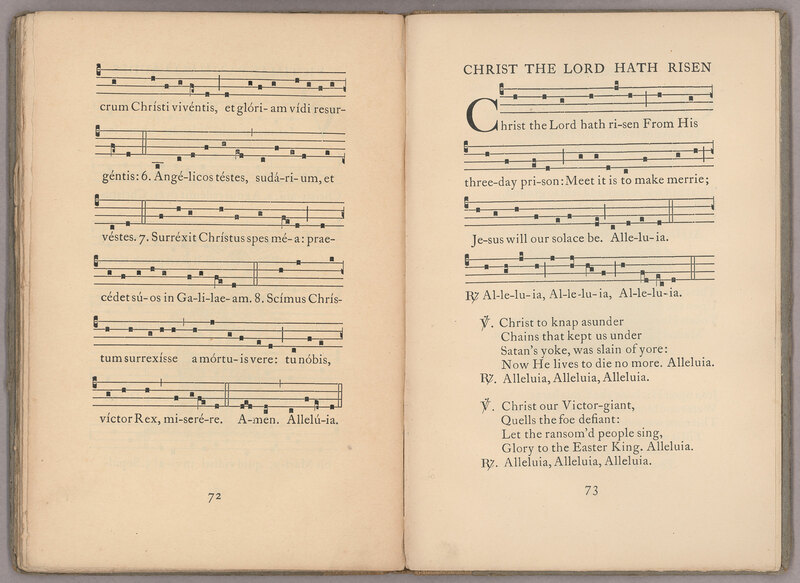 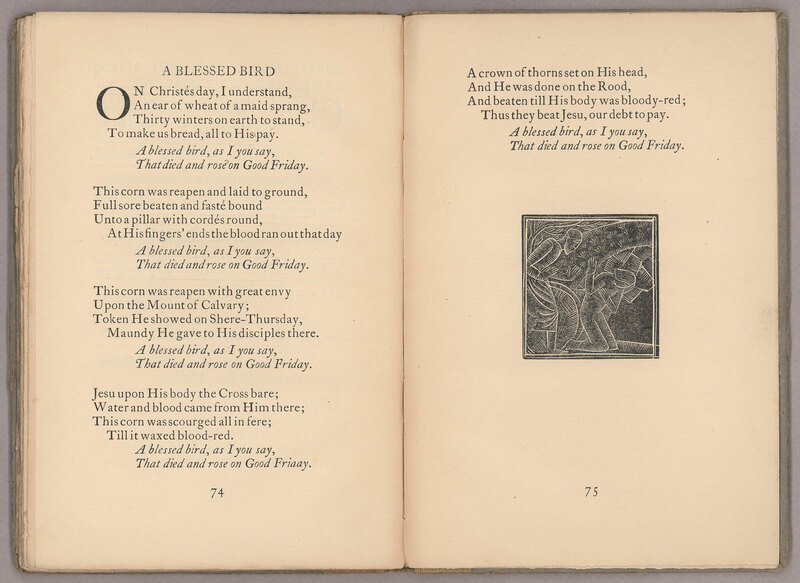 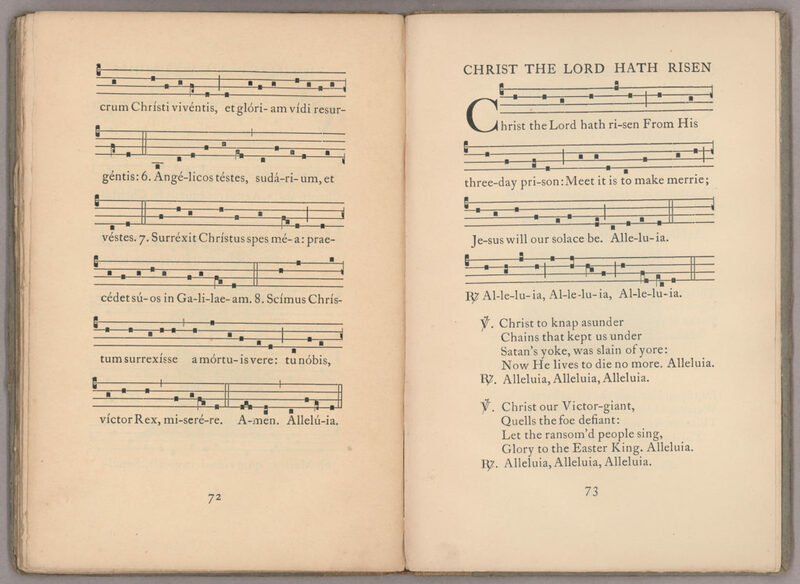 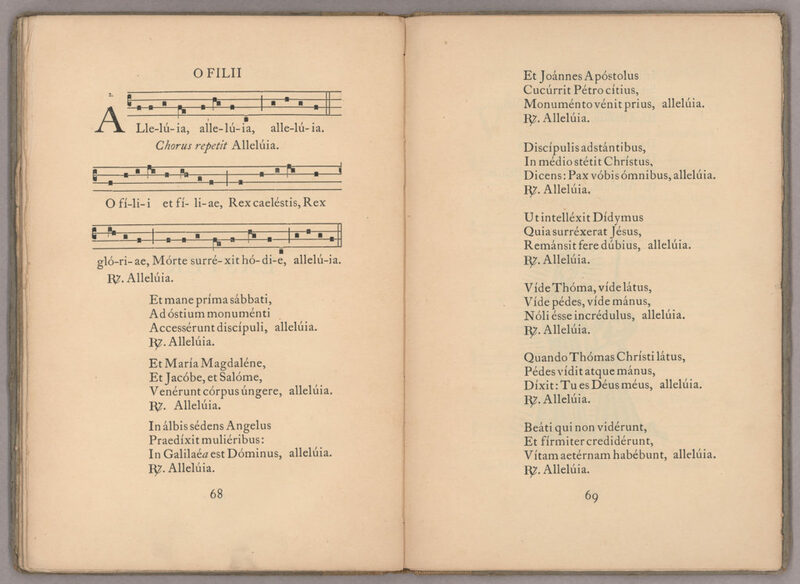 In honor of Easter, we are sharing images of the Easter hymns from The Common Carol Book: A Collection of Christmas and Easter Hymns (1926), a book printed by the Saint Dominic’s Press (SDP). 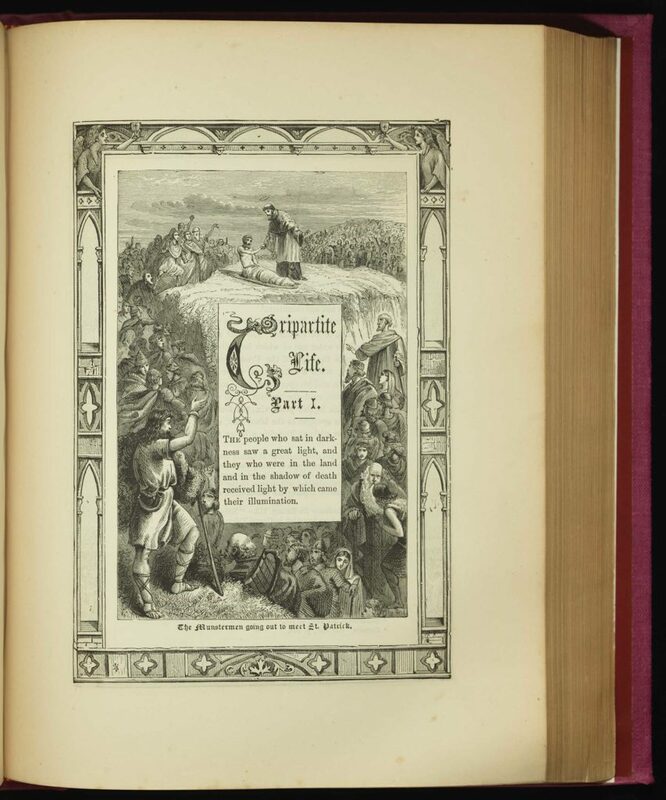 An exhibition which sets the story of the SDP within the larger history of the private press movement in England and examines its artistic as well as literary achievements is currently on display in Special Collections. 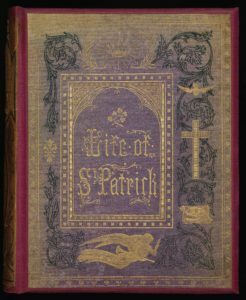 The exhibition features different types of publications and posters produced by the SDP (though not this volume), is curated by Dennis Doordan (Professor Emeritus School of Architecture, University of Notre Dame), and runs through the summer. 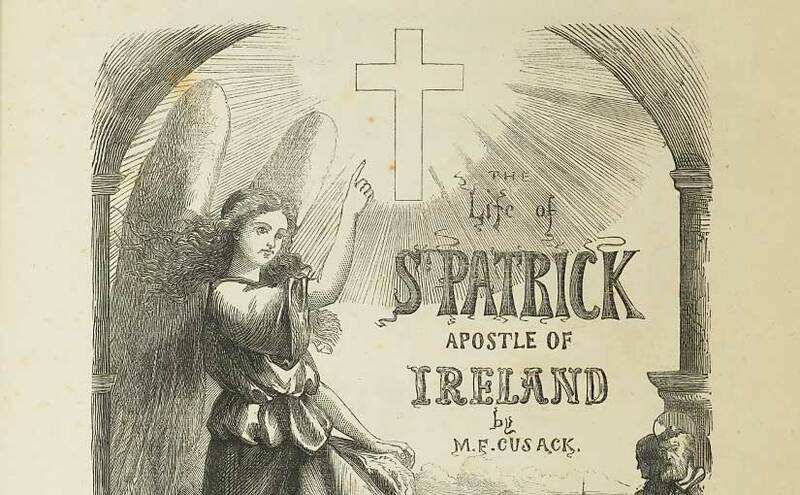 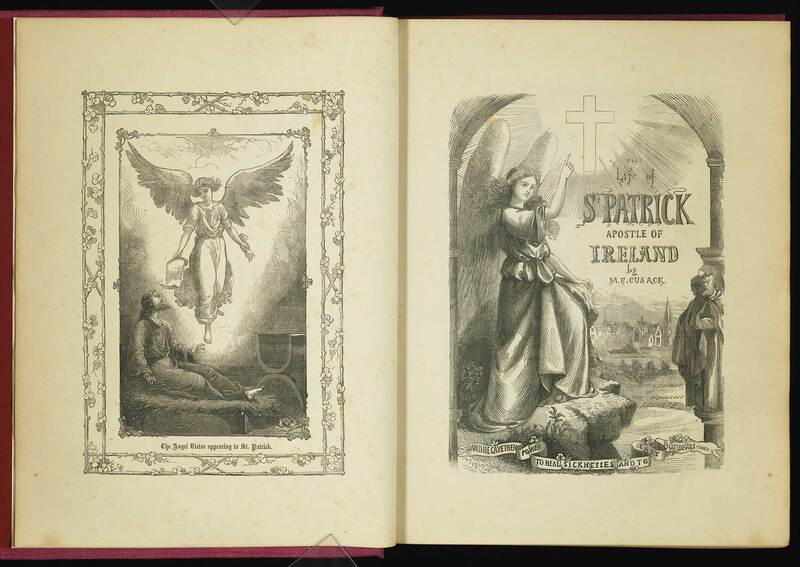 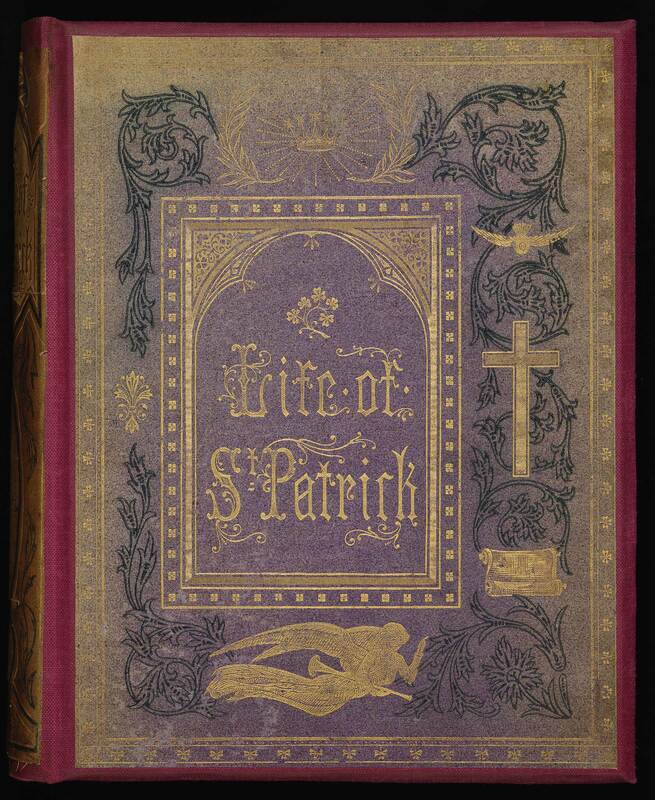 Happy Easter to you and yours from Rare Books and Special Collections at the University of Notre Dame. 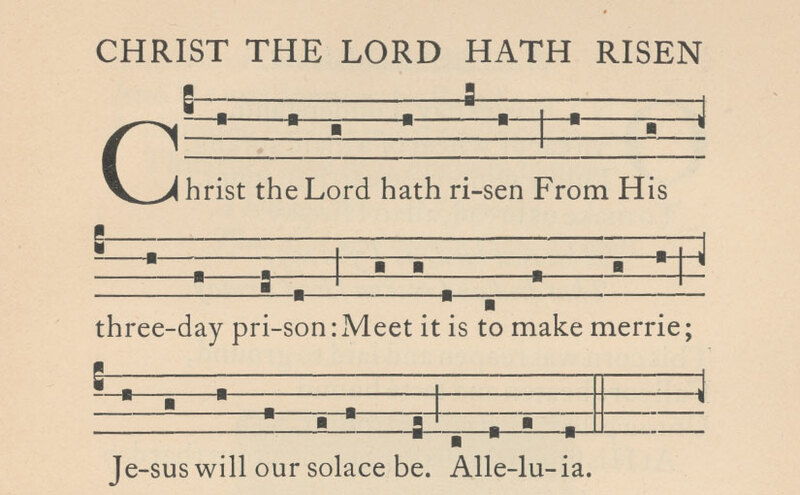 on Monday, April 22, 2019. 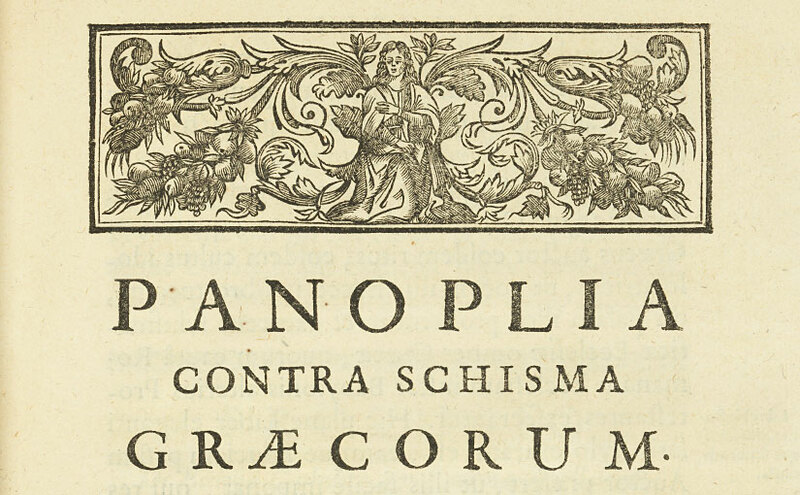 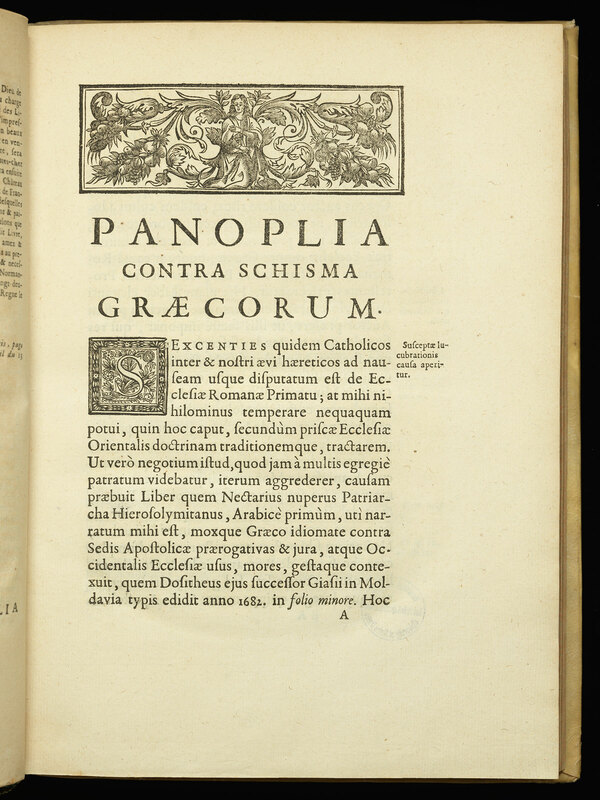 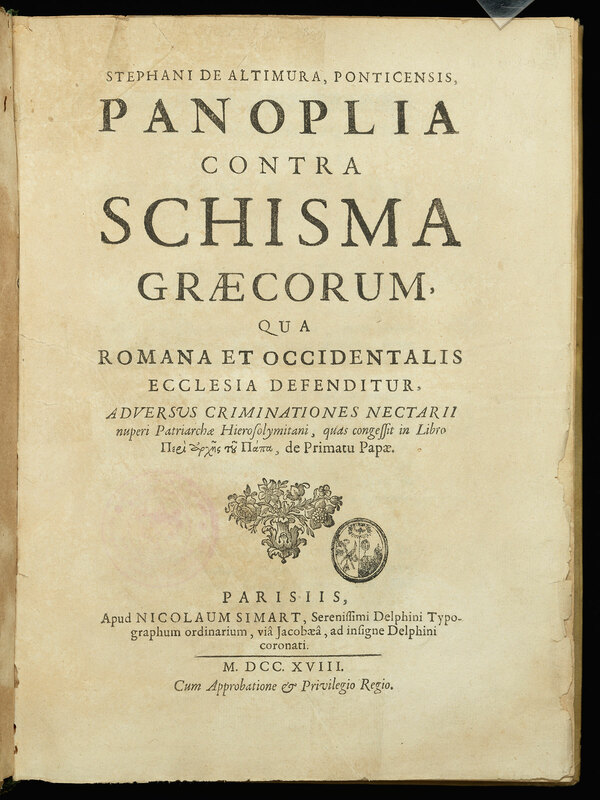 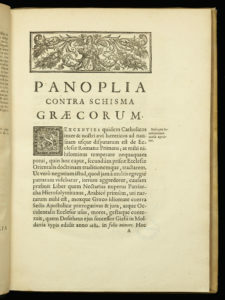 The Hesburgh Libraries’ Rare Books Collection has recently been enriched by an interesting title, Michel Lequien’s Panoplia contra schisma Graecorum (Paris, 1718). 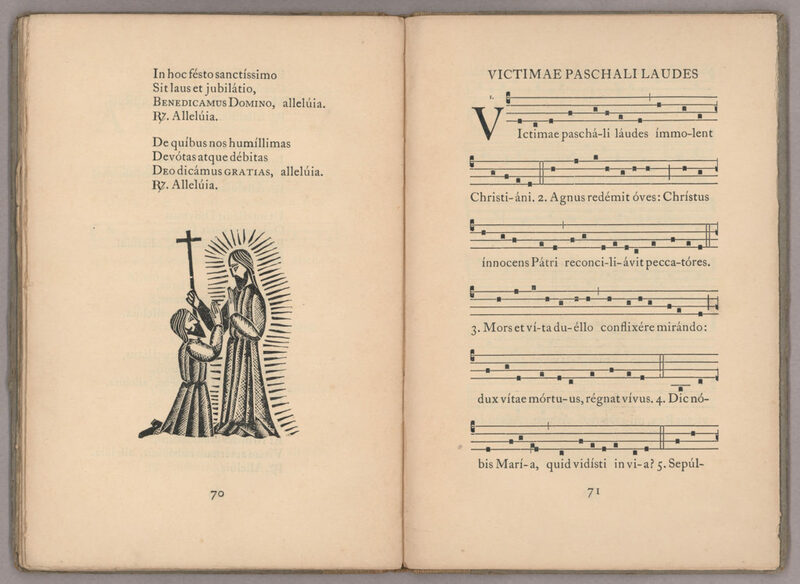 We have discovered only two other North American library holdings of this response by Lequien. 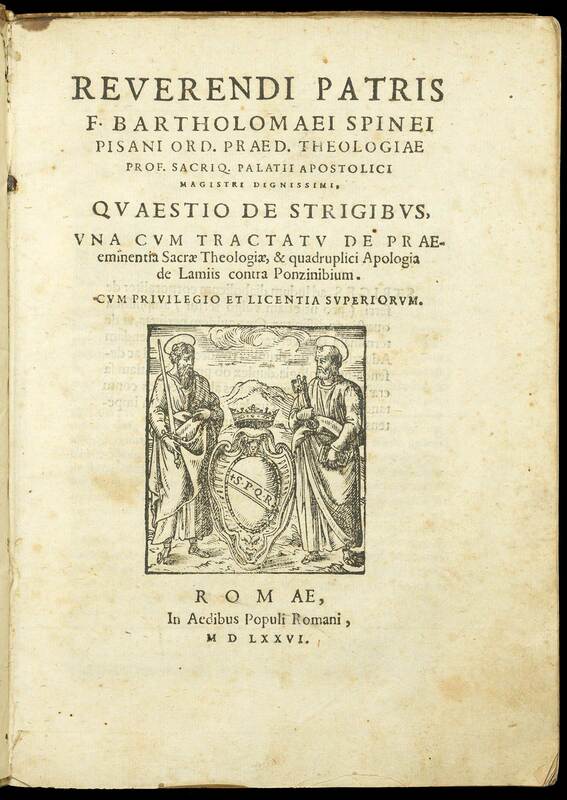 The Hesburgh Libraries has recently acquired an interesting addition to our already extensive holdings on the 16th-century Inquisition period in church history, Bartolommeo Spina’s Quaestio de strigibus (Romae, 1576). 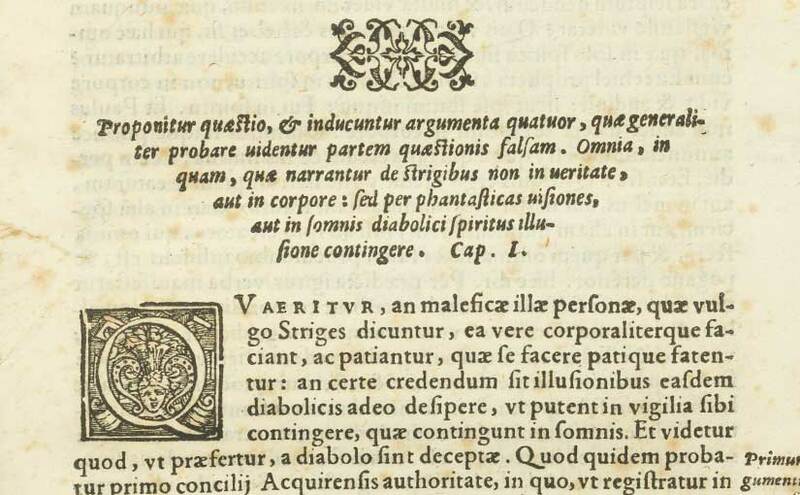 This title is actually comprised of three tracts on witchcraft written by the author around 1523, taking as his model Sprenger and Institoris’s Malleus Maleficarum (“Hammer of Witches”) from the late fifteenth century and emphasizing witches’ characteristic behavior in particular. 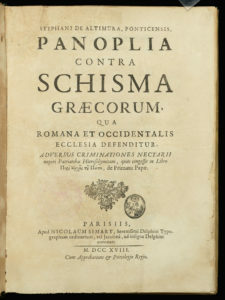 A renewed interest in Spina’s works followed the establishment of the Roman Inquisition in 1542 and these tracts were collected for the first time in this edition. 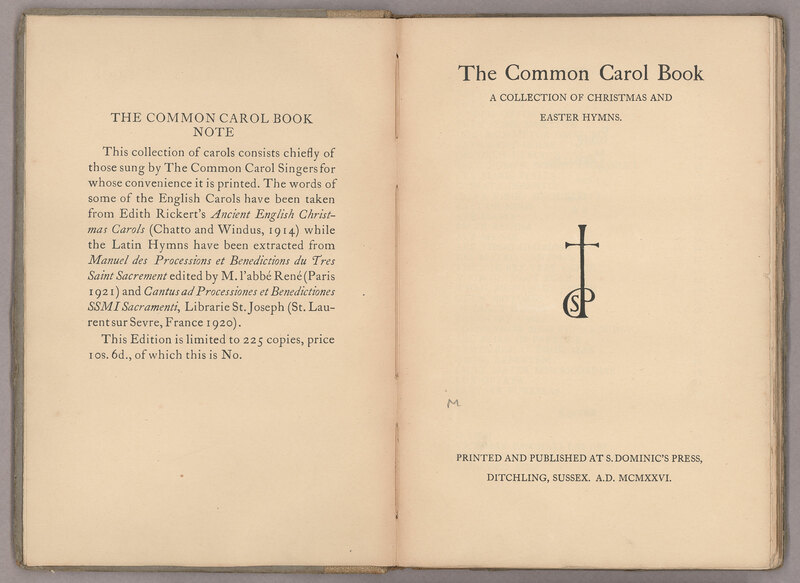 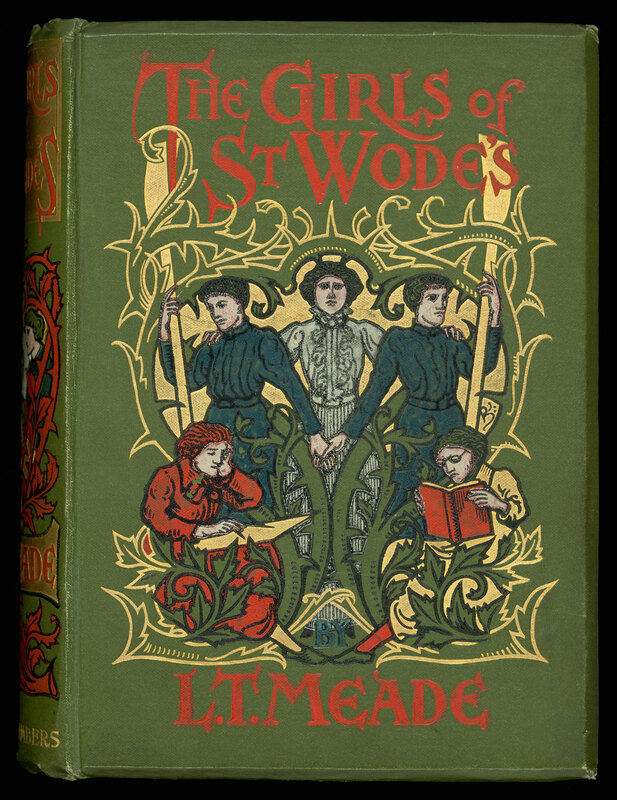 We count only four other North American libraries holding this initial publication of the title. 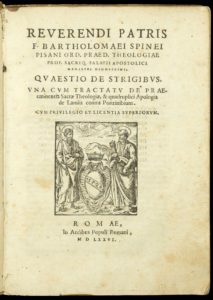 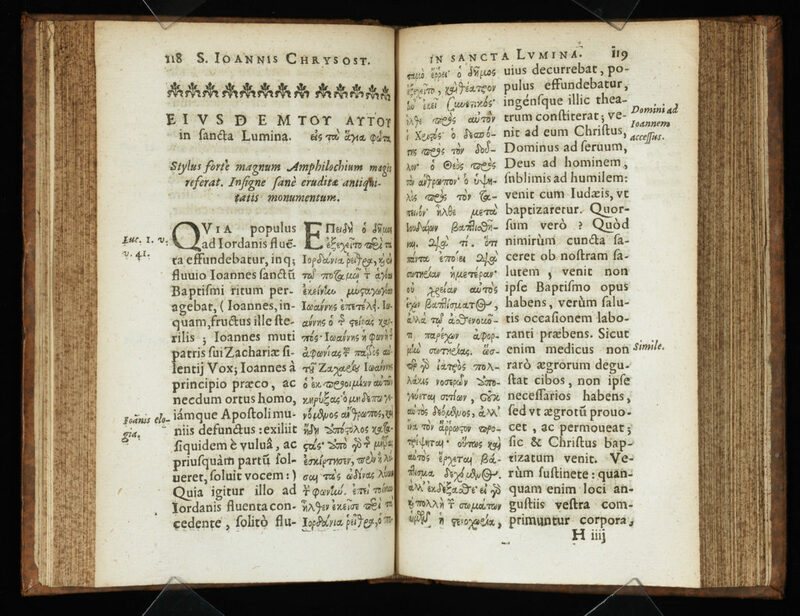 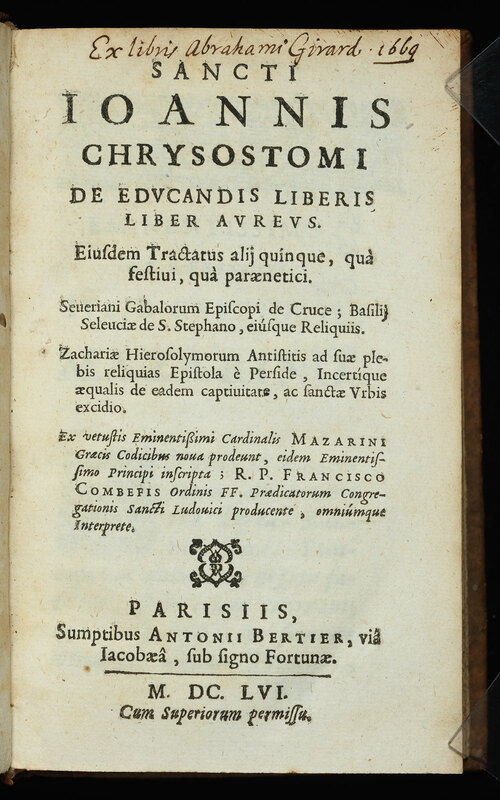 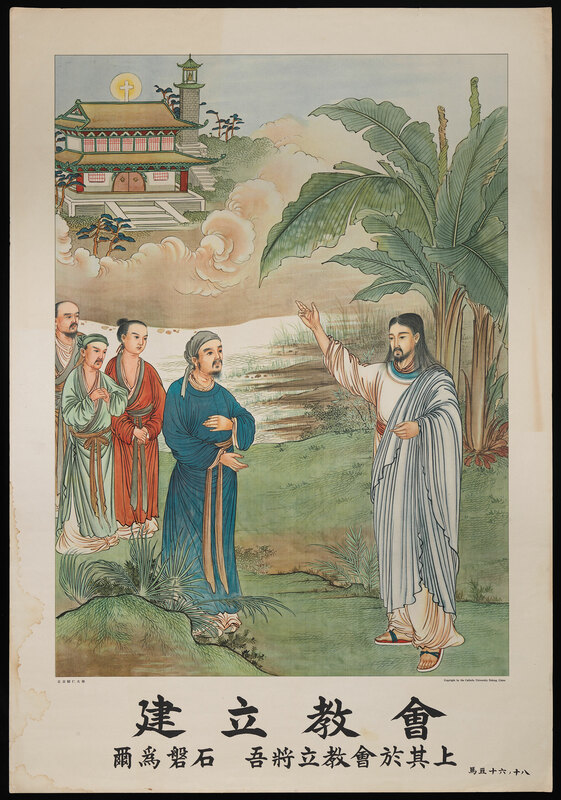 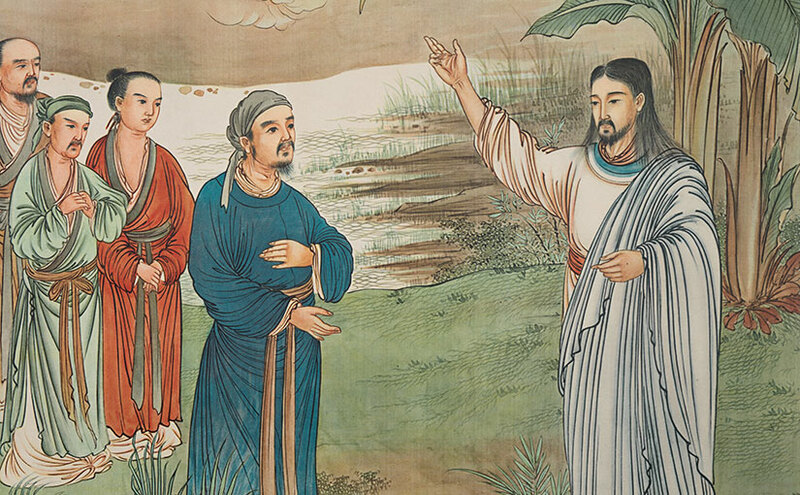 Hesburgh Libraries has recently acquired an interesting and quite rare first edition by the great early Christian preacher and writer St. John Chrysostom (349-407). 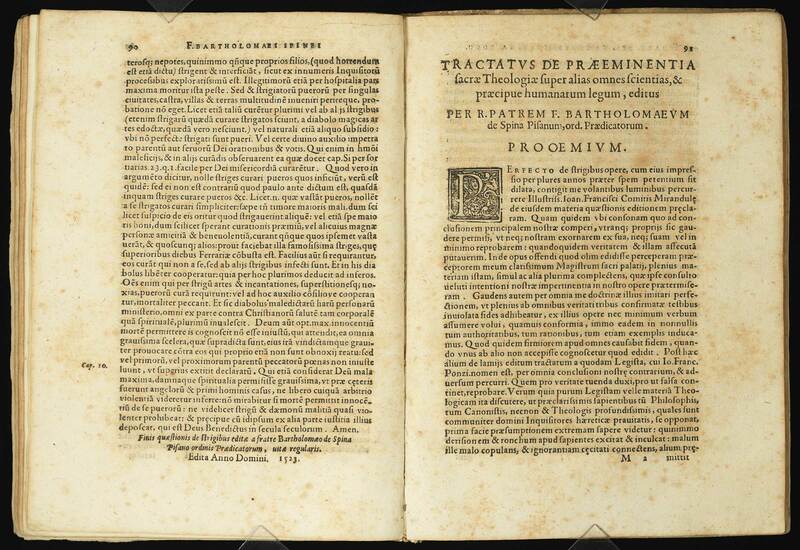 Usually referred to as his “Golden Book” in English translations, De educandis liberis liber aureus (Paris, 1656) discusses the Christian education of children. 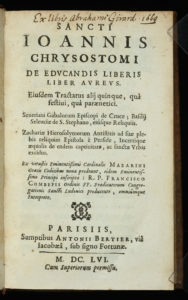 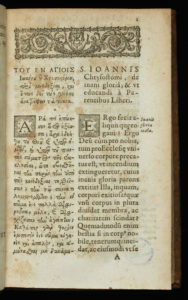 Printed in parallel Greek and Latin translation, the latter was added by the book’s Dominican editor, Francois Combefis. 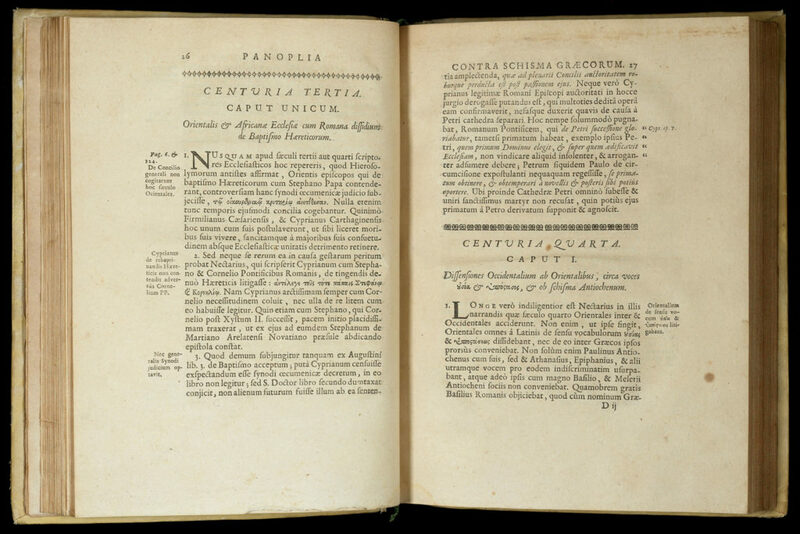 In the preface, Combefis notes that he had discovered the manuscript of the work in the collection of Cardinal Mazarin, who was responsible for the upbringing of the young Louis XIV, and expresses the hope that it will be useful for his education. 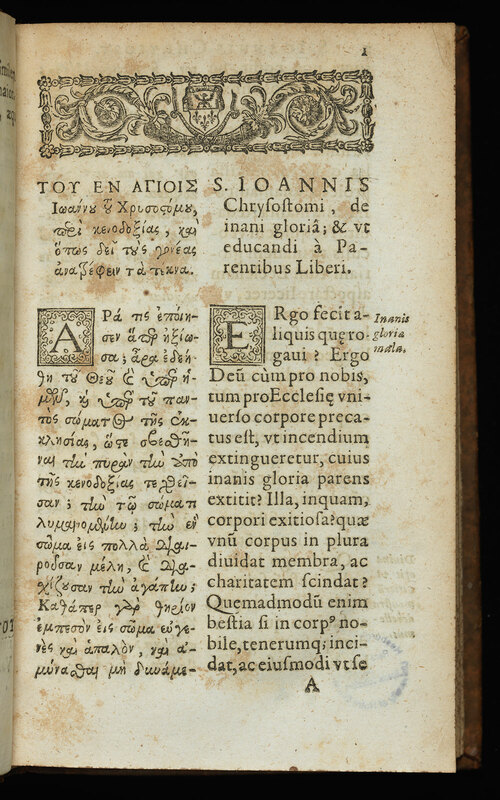 Interestingly, this tract was not included in collected editions of Chrysostom’s works because its authenticity was questioned, and it was not until 1914 that a new edition of the Greek text was issued by Franz Schulte (which Hesburgh Libraries holds in its general collection). 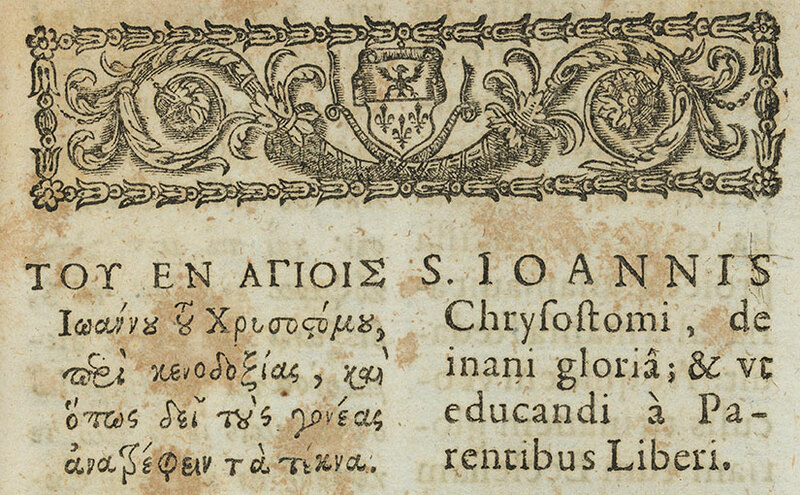 This seventeenth-century “editio princeps” is held by only two other North American libraries. 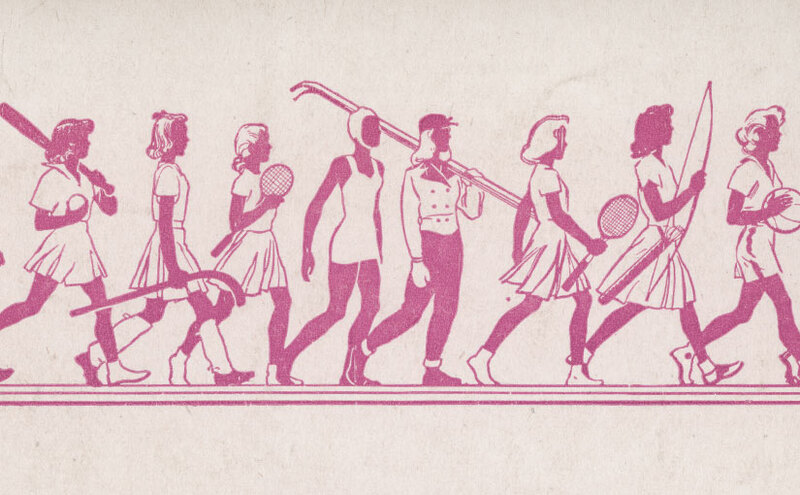 The Hugo Achugar Papers have been recently described and are open to students and researchers. Hugo Achugar (1944-) is a Uruguayan literary critic and prolific writer of poetry and essays. 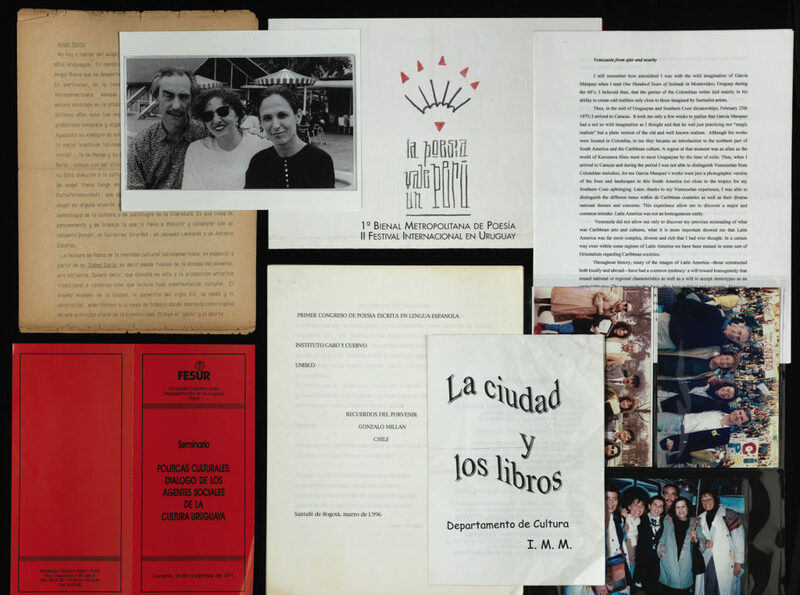 He has held teaching positions at universities in both Latin America and the United States, including Universidad de la República, Uruguay; Universidad Católica, Venezuela; Northwestern University; and Dartmouth College. 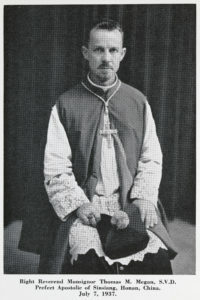 He currently serves as a member of the Emeritus Faculty at the University of Miami. 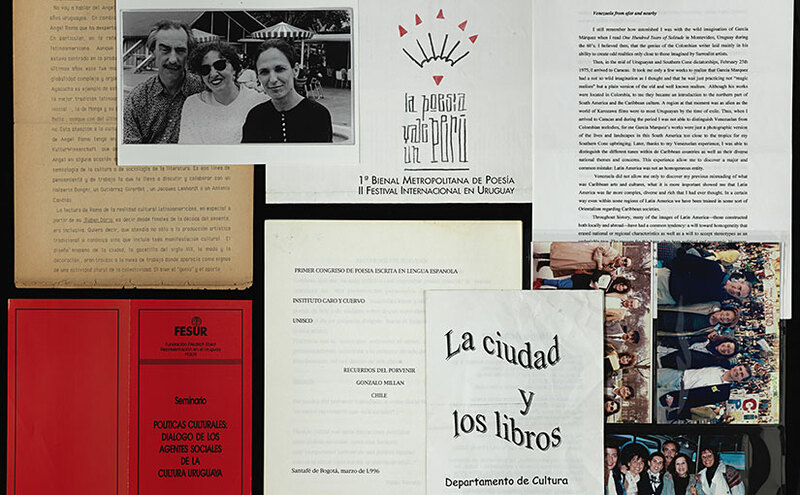 Some of Achugar’s better-known works include Ideologías y estructuras narrativas en José Donoso, 1950-1970, a literary essay on the works of José Donoso; Hueso Quevrado (cuaderno de la Bahía), a collection of poetry; and Falsas Memorias: Blanca Luz Brum, a fictionalized account of the life of Blanca Luz Brum. 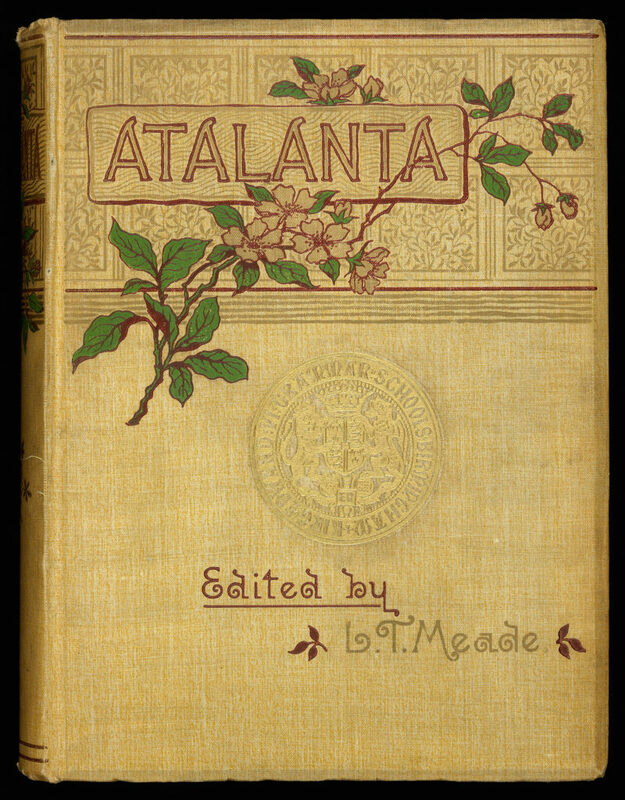 The collection consists of manuscripts, photographs, clippings, and journals, all forming a record of Achugar’s professional career. 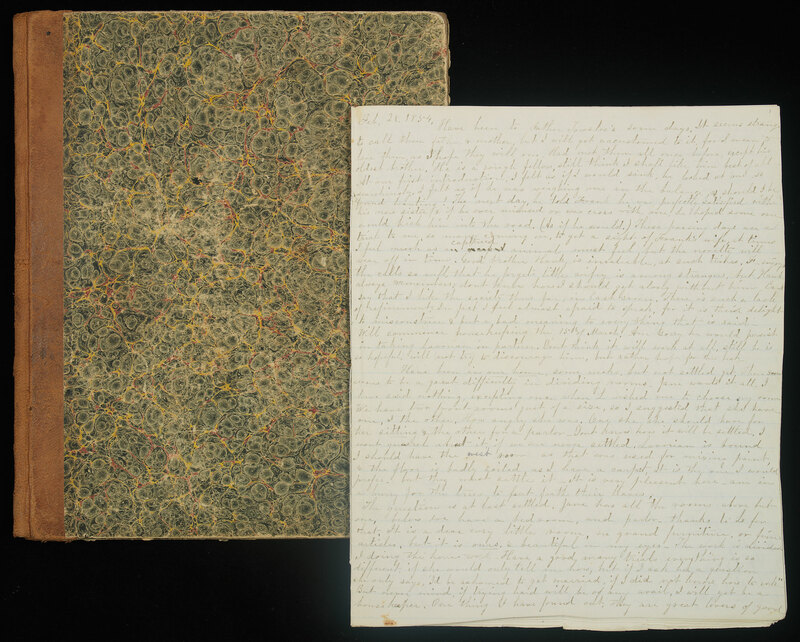 Included are correspondence, notes and research files, lecture and conference materials, and poetry. 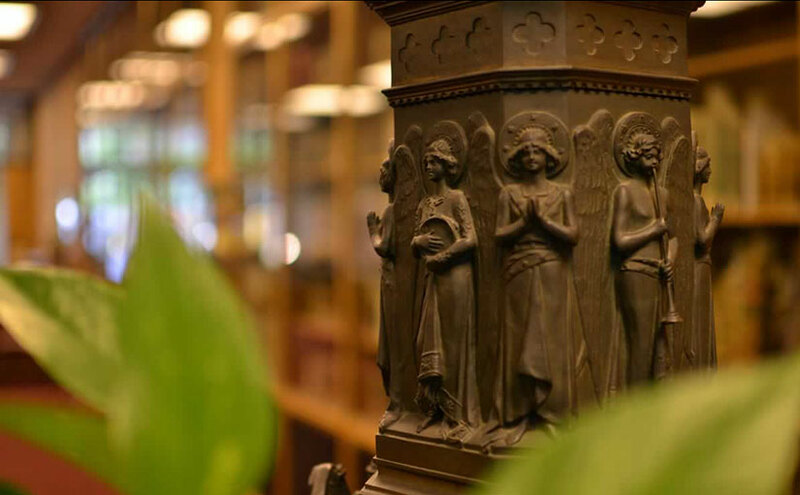 The collection also includes Achugar’s personal library, which will soon be cataloged. The highlight of the collection is the series of articles and drafts, comprised of drafts of both published and unpublished essays, poetry, and fiction. 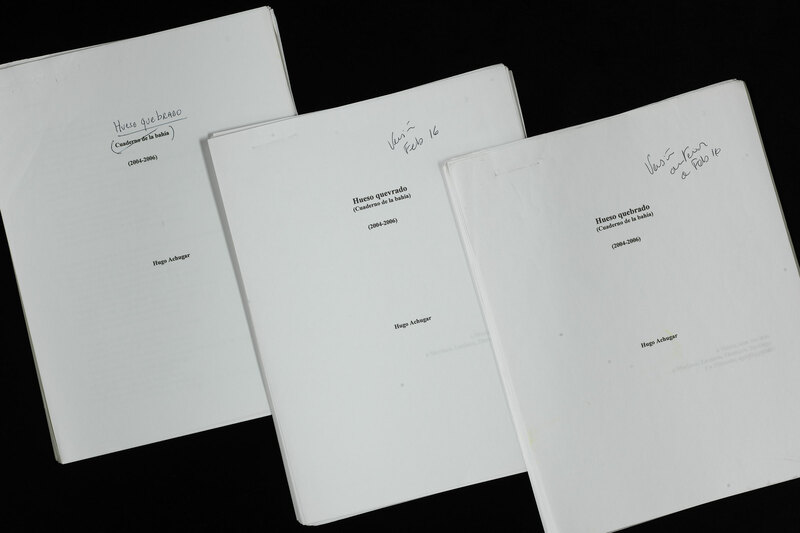 For some works, there are multiple drafts written at different points in time, allowing researchers to follow Achugar’s writing process. 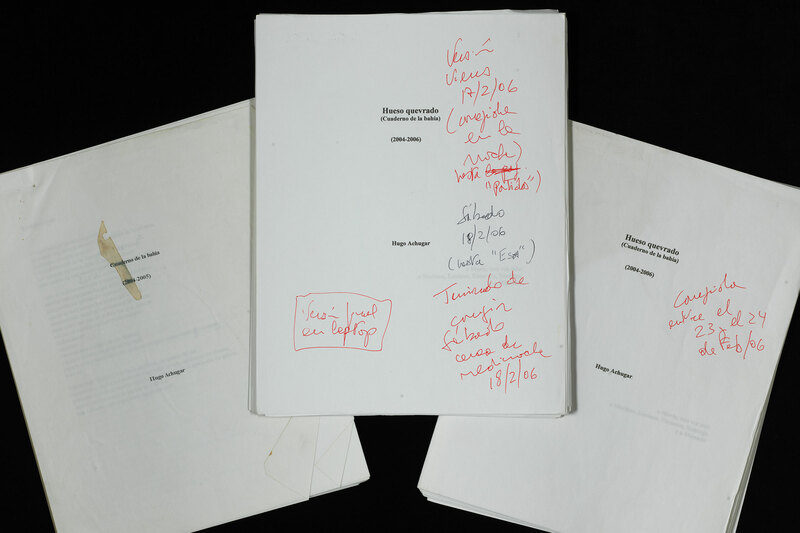 For example, in the series exist various drafts, notes, and preparatory materials for Hueso Quevrado, representing Achugar’s process from research to draft to revision. 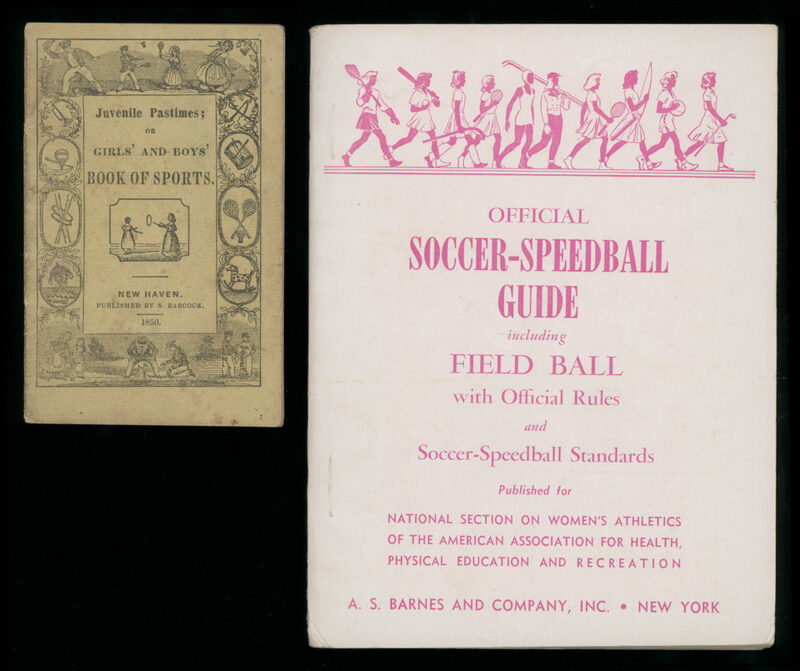 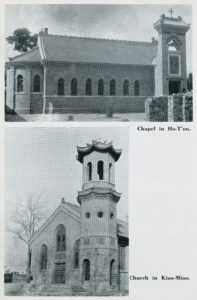 For more information on this collection, please view the online finding aid.